From August 23 to 26, 2016, Fives was present at the 24th Fenasucro and Agrocana shows, in Sertãozinho, SP state, Brazil. One of the biggest conferences for sugar industries, this major event attracted over 300 manufacturers and more than 35,000 people from all over the world. During this major event, Fives highlighted both Cail & Fletcher continuous vacuum pans and Cail-KCP & Fletcher boilers which are crucial to meet the growing market’s needs to raise the sugar production and stop spreading spent wash in the fields. This was also an occasion for Fives to promote Cail & Fletcher SMART ControlTM. Thanks to this unique web application including associated services, customers can follow up their sugar plant anytime, anywhere monitoring it from a mobile device or a computer connected to the internet. Customers had a chance to have a demo on the stand including continuous vacuum pans and centrifugals optimization and maintenance planning. 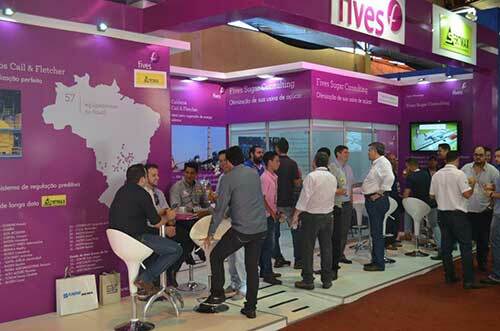 Fives Sugar Consulting offer, another major innovation from Sugar | Bioenergy teams, had a dedicated corner on the stand where visitors could ask for a free simulation. Fives Sugar Consulting is a unique approach based on experts using a complete set of tools to quickly and accurately model a complete sugar plant. From the numerous visitors who visited this area, it is clear that Fives Sugar Consulting meets many customers’ expectations to improve equipment’s performance and maximize profits.